This was actually two different meals, but they were similar enough to warrant a single post. I prepared the one on top all by me onesie, and it didn’t turn out to be terrible. Because it was extremely easy! For the stir fry, I sauteed onions with lots of minced ginger, some garlic, and a splash of vegetable broth (to keep them from sticking). 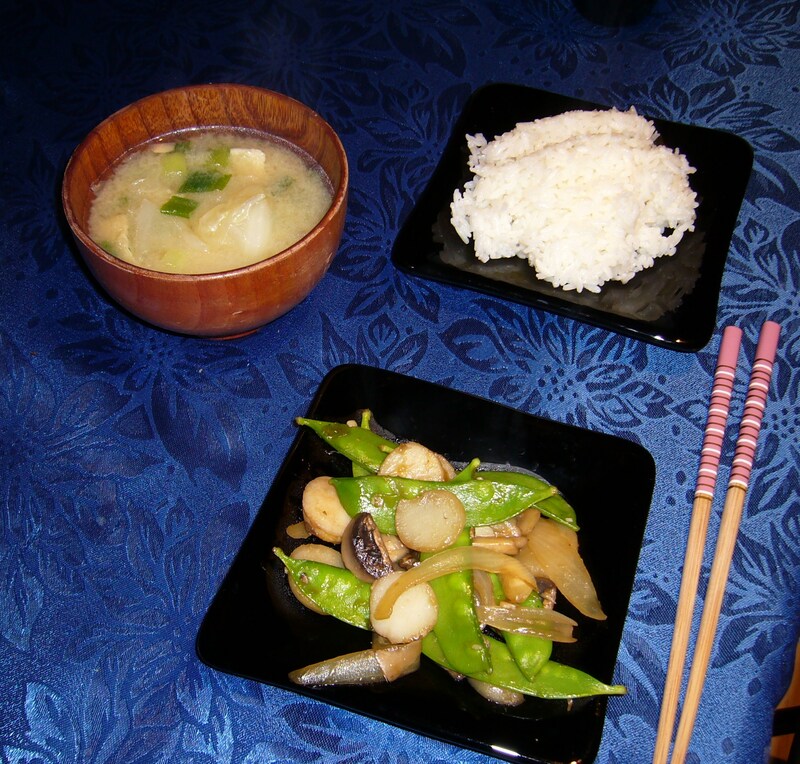 Then I added mushrooms, snow peas, and water chestnuts in succession. I just used soy sauce for the flavoring and a tiny bit of potato starch to thicken it. I’ve always loved water chestnuts; indeed, it has been suggested (ahem) that I have a particular propensity for bland white foods. Instead, though, I would say that I have a well-developed, sophisticated palate that can appreciate simple, subtle tastes. Anyhoo, the soup was miso with cabbage, abura-age (deep fried tofu sheets), and green onions. 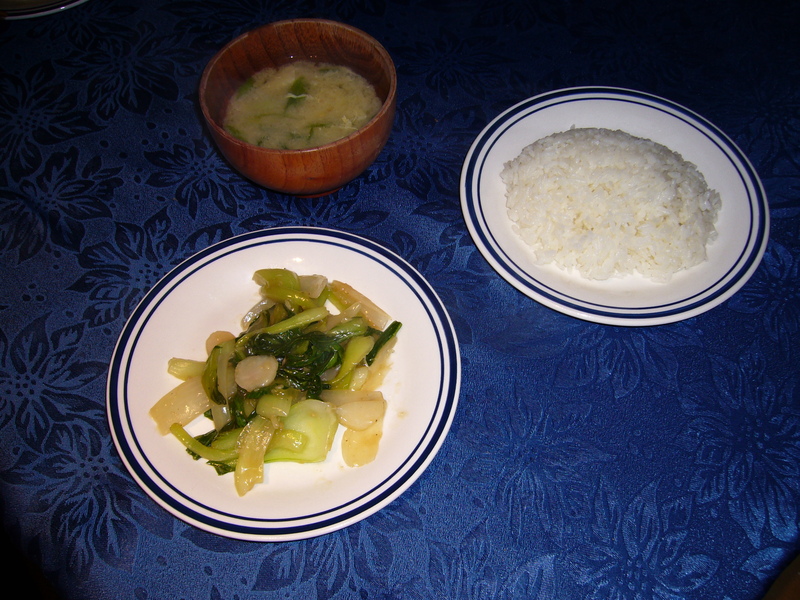 Yusuke used the leftover water chestnuts to make the stir fry below. It also has bok choy, white onions, and pork. The sauce is thicker than mine, but it has similar ingredients: garlic, ginger, chicken bouillon, soy sauce, and mirin. The accompanying miso soup has eggs and green onions. Yum.